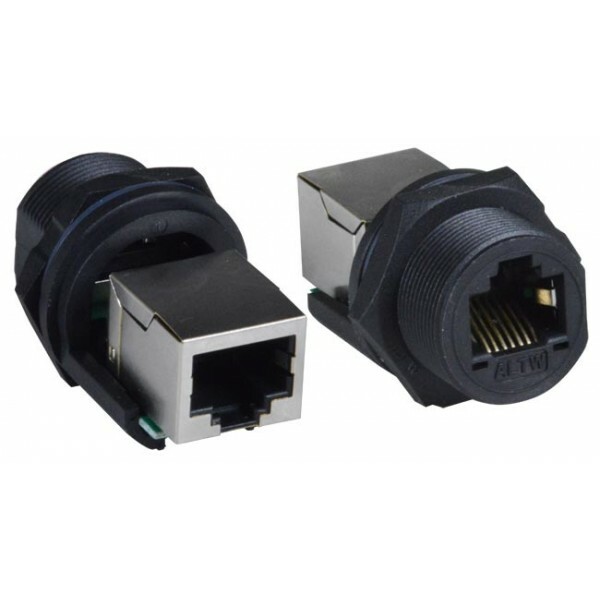 RJ45 pass-thru receptacle to female RJ45 jack for use with a standard Ethernet patch cord inside. 13/16" - 28 UN (Unified Screw Thread) outer threading. Requires CAT5E-WTP-WU28-xM waterproof cable, or one of the available 13/16" - 28 UN cable side shields for complete connection.